It is a great honour for me that the Prison Service of the Czech Republic participates at the Future Forces Forum in 2018 again. It is a unique and beneficial professional international platform that brings together specialists from the fields of security and defence, representatives of security corpses, state administration and public authorities. Since its participation at FFF 2016, the Czech Prison Service has made a great progress in the field of armament, technical equipment and technological development as well as in the sphere of social respect and generally positive public image of the service. Over the past years, we have managed not just to stabilize our organization but also implement a number of changes. We have brought the Czech penitentiary system up to the standards of many developed countries in Western Europe. At the same time, we have also achieved to follow in high professional standards applied in our country before WWII. A long-term conception of system development was approved and we have started implementing its solutions. Among those it is necessary to mention reduction of the four types of prisons to two which allows effective placement of inmates into different prison regimes and better assessment of their personal efforts for their own rehabilitation. Further on to point out commencement of a unique Open Prison pilot project which stresses the self- responsibility of inmates for preparation for release and life outside the walls. 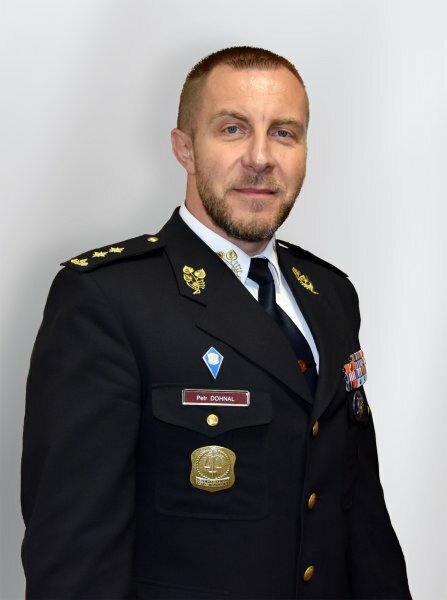 The Prison Service of the Czech Republic has extended its international relations, particularly with European prison administrations, on the level of bilateral collaboration but also through active membership in professional organizations such as EuroPris, ICPA or MECR. Regarding the technical equipment we have started to renew our armament purchasing Czech arms, particularly EVO machine guns. We are preparing a number of pilot projects involving a use of new detection systems preventing contraband smuggling into prisons. We are exploring systems of protection from unmanned aerial vehicles which we would like to install in larger prisons or those in complex terrain conditions. Further on I can name full videoconference network covering the whole country, new system facilitating phone calls of inmates, new uniform components for uniformed staff members or modernization of our vehicle fleet, including the armoured vehicles. I am convinced that the Prison Service of the Czech Republic participation at the Future Forces Forum in autumn 2018 will be as successful as the previous one and I am looking forward to meeting all the partners of this significant international event.